A cat by any other name would still be feline, but taxonomists -- scientists who classify living things -- would not be able to communicate nearly as much information as they can through the scientific name Felis catus. The seven levels of classification for a domestic cat do more than just classify it; they also provide scientists with a detailed explanation of what a cat is like. A scientist who had never seen a cat before could tell a great deal about it by examining its classification levels. Likewise, people who are very familiar their pets may learn things they never knew by examining the categories to which it belongs. The domestic cat belongs to the kingdom Animalia, which includes all animals. Animals are made up of many cells, all of which lack the cell walls that characterize plants and fungi. These cells are organized into larger units called tissues in all animals except for sponges, and often form complex groups of tissues called organs. Animals cannot make their own food like plants, but must rely on catching and ingesting other organisms. To this end, most animals have the ability to move in more complex ways than the organisms of any other kingdom. Cats have backbones, which places them in the phylum Chordata and the subphylum Vertebrata. Unlike members of other phyla, such as segmented worms (phylum Annelida) and insects (phylum Arthropoda), the chordates have a notochord that forms during some stage of their early development to support the body. In vertebrates, this primitive rod develops into part of the spinal column. They also have a nerve cord that transmits signals to the rest of the body. 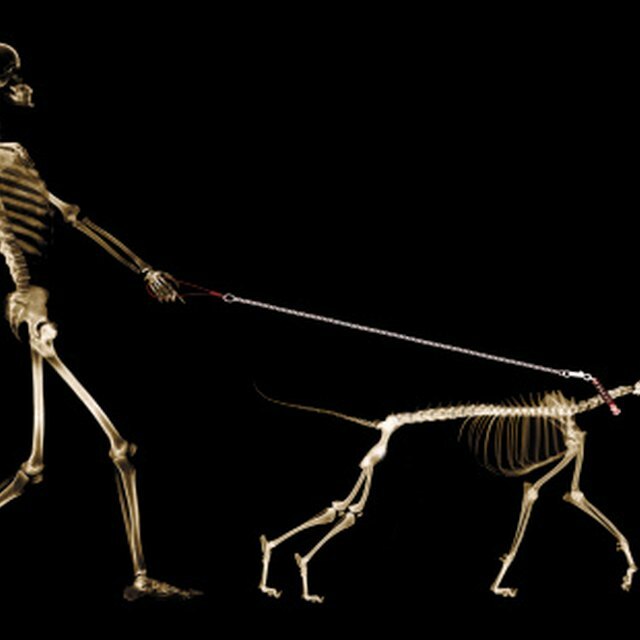 Vertebrates, such as cats, have a fully-formed skeleton and spinal column, which is segmented into discrete bones to allow movement. Because cats have hair, three middle-ear bones and mammary glands, which produce milk for their young, they belong to the class Mammalia, which includes all mammals. More specifically, cats are placental mammals, or eutherians, who primarily nourish their fetal young through a placenta inside the womb. Cats share this class with a wide variety of animals, from mice to blue whales. Cats are meat eaters in the order Carnivora. Like all members of this group, they have large canine teeth, three pairs of incisors and sharp carnassial teeth where other mammals' premolars would be. This allows them to efficiently slice and tear through the flesh of other animals. They are also distinguished by a fixed jaw, which can only move up and down and not side to side as the jaws of many other mammals can. Cats are among the most carnivorous of the carnivores, feeding almost exclusively on meat. Domestic and wild cats make up the family Felidae. This family is characterized by short muzzles and a reflective membrane over their eyes, which gives them excellent vision. They are also agile, have excellent balance, and possess partially or completely retractable claws -- all characteristics which make them excellent hunters. Since domestic cats are small felines, they are placed in the genus Felis. Although the cats in this genus are smaller than some of the "large" cats, such as lions and tigers, there is still a significant range of sizes. For example, the domestic cat and the mountain lion are both classified as "small" or "lesser" cats, even though the mountain lion is larger than the leopard, which is a "big" cat. The most distinguishing feature of this genus is that none of its members can roar, as large cats can. Some classification systems place only the very small cats into the genus Felis, such as the wildcat and jungle cat. Although many scientists believe that the species catus descended from the European wildcat, which shuns man, domestic cats are primarily raised as pets. F. catus includes between 40 and 55 pure breeds (different associations recognize different pedigrees) and is constantly changing as new breeds are developed. One of the newest breeds, the Burmilla, was recognized by the Cat Fanciers' Association Inc. in February 2011. Arnold, Kylene. "The Seven Levels of Classification for a Domestic Cat." Sciencing, https://sciencing.com/seven-levels-classification-domestic-cat-10029819.html. 23 April 2018.